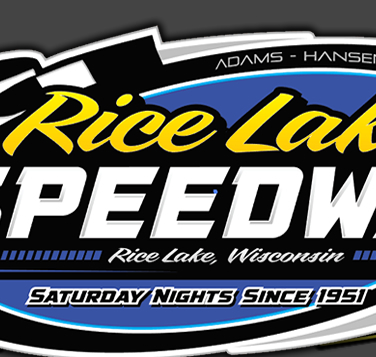 RICE LAKE, WI (April 25) – It was a night of historic achievements Saturday night at the Rice Lake Speedway. Kevin Adams broke the week old tie he held with Dave Morgan and became the all time feature win holder at the Rice Lake Speedway as he won his one hundred and fourth main event win. On the other side of the spectrum, Hunter VanGilder, in only his third time ever behind the wheel of a WISSOTA Street Stock, outraced veteran campaigner Adam Soltis to win his first ever Street Stock main. Travis Anderson became the first driver in Rice Lake Speedway history to win a main event using WISSOTA’S new concept motor while former track champions Curt Myers and Jason Havel both reached victory lane for the first time in 2015. Adams started eighth in the Modified main event but quickly worked his way up to third as defending point champion Mark Hessler fought his way past Matt Leer to take the early lead. Adams worked past Leer to take over second and then gradually closed in on Hessler, who continued to lead the way. Adams tested the inside on Hessler on a couple of occasions in turn two but each time Mark was able to fight him off. The winning move came on lap eleven and was a spectacular pass in turn three. The lead duo came up on a lapped car entering turn three and Hessler hesitated for just a second. Adams shot to the outside of Hessler, squeezing past between Hessler and the outside wall, then cut down low on the track to clear the lapped car. Adams slid high in turn one but was able to gain just enough traction to retain the lead and then edge away from Hessler. One yellow slowed the field on lap thirteen and on the restart, Adams was able to power away from the field. Steve Hallquist, who moved into third when Leer suddenly dropped out, had a great restart and took over the second spot from Hessler. Adams continued to pull away in the remaining laps as he drove home to feature win number one hundred and four at the speedway. Hallquist had a great run for second with Hessler settling for third. Cory Mahder and rookie Kerry Halopka completed the top five. VanGilder started on the pole for the Street Stock main and took the early lead, but when he slid out in turn two, Adam Soltis was right there to take over the lead. Sam Fankhauser moved to the outside line and started to work in on the leaders while Jay Kesan was charging to the front after starting in the fourth row. A lap eight yellow for a spin bunched the field and on the green, Soltis continued to lead. VanGilder briefly lost second to Fankhauser but then fought back and took the spot as Kesan continued to work the high side and also nearly stole the spot. Soltis looked to be in charge when suddenly, he slid out in turn two and VanGilder was jolly on the spot to power past him on the inside and take over the lead. Soltis tried to fight back, but VanGilder was strong and he began to pull away from the field. No one was able to offer a challenge in the few remaining laps and the rookie driver drove home to the cheers of the crowd for the impressive win. Soltis hung on for second over Fankhauser with Kolby Kiehl making a late charge into fourth while Cody Kummer, relegated to the back after an early spin, fought his way all the way back into fifth. Anderson and Tad Bretting has a hard battle in the early going of what turned out to be a nonstop Midwest Modified main event. After running side by side for a couple of laps to start the event, Anderson was able to edge in front of the pack. Bretting was then challenged by Grant Southworth for the second spot along with Ryan and Tito Viltz. At this point, Anderson was putting distance on the field while the battle for second remained strong. Southworth took over second and se t off after the leader while Shane Halopka moved to the outside and really began to pick up the pace. He drove up to third and began to track down the top two, who had managed to move away from the field. Anderson continued to lead as Halopka drove up beside Southworth and both caught Anderson as the white flag waved. Halopka went for broke on the final corner but slid up the track and Anderson, shaking off some back luck from early this season, drove home by a car length for the win over Southworth with Halopka right behind. Tito Viltz settled for fourth while Michael Truscott drove from deep in the field to complete the top five. Myers made an impressive comeback after falling back early in the Super Stock main. Willie Johnsen and Randy Spacek raced hard in the initial going before Spacek was able to edge past and take over the lead. Randy put a little distance on the field and looked strong up front. Behind Johnsen, there was a big battle for position with Myers, Nick Oreskovich, Eric Olson, Mike Anderson, Shane Kisling and Jason Forehand all fighting hard for places. Myers started in the second row but when he slumped all the way back to fifth, he changed his line in turn three, moving up the track and immediately finding success. He began to pick off his competitors one at a time, eventually driving his way up to second with a pass on Johnsen and then rapidly closing on the leader within a couple laps. Continuing to use the high side, he pulled up beside Spacek and then blew past him off turn four to take over the lead. Once in front, he began to put distance on the field. The lone yellow of the event occurred at the halfway point, and back under green, Myers pulled away from the field. Johnsen got a good restart and moved past Spacek into second. They battled hard the rest of the event with Johnsen holding off Spacek for second as Myers drove home easily for the win. Kisling, in his first outing of 2015, moved up steadily at the end, along with Mike Anderson, and they completed the top five. Defending point champion Havel showed that he can win in a General Motors product as well as his venerable Thunderbird which has been legislated out of local racing action. Rookie Shawn Amundson was the early leader of the event, but a hard charging C.J. Wagner drove under him to take over the lead. Havel was also on the move as he drove into the second spot with George Richards and Nick Traynor forming a five car break away pack. Wagner looked in control of the race until he broke traction off turn two and Havel jumped to the inside and took over the lead with the top five still running close together. A late spin set up a three lap sprint to the finish and while Wagner stayed nailed to Havel’s rear bumper, Jason brought his car under the line first for the win. Amundson finished a solid third with Richards and Traynor close behind. Before the racing program, the Best Appearing Car in each class was honored after voting was done last week. The winners were Amundson-Pure Stocks; Bob Wahlstrom-Street Stocks; Tito Viltz-Midwest Modifieds; Scott Lawrence-Super Stocks and Leer-Modifieds. Also, Buddy Mayala was honored with a birthday cake and was interviewed on the track before the racing program began. Mayala, the oldest driver in all of WISSOTA and one of the oldest in the entire country, celebrated his eightieth birthday on Saturday at the track and amazingly, continues to race his Modified every Saturday night at the Rice Lake Speedway. Mayala began his racing career in 1954. 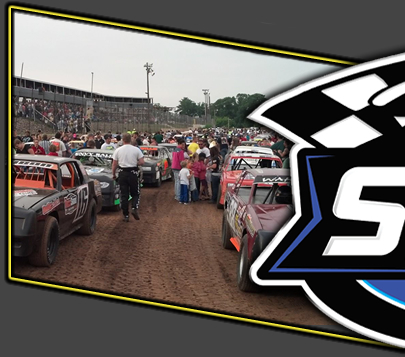 Five division programs continue the next two Saturday nights at the speedway with hot laps scheduled for 6:30 p.m before the first special event of the 2015 race season occurs on Thursday, May 14th when the modified stars of the United States Modified Touring Series visit the speedway to take on the best of the regional stars in a three thousand dollar to win main event. 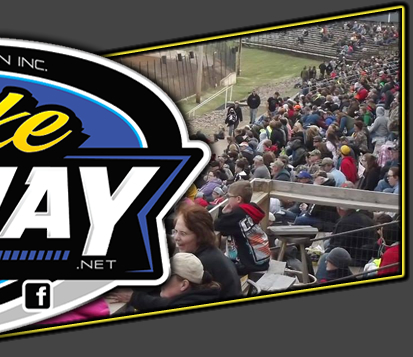 Midwest Modifieds will join the card that night. 20 lap Feature – Kevin Adams(Cameron), Steve Hallquist(Eau Claire), Mark Hessler(Menomonie), Cory Mahder(Eau Claire), Kerry Halopka(Wheeler), Mike Stearns(Hecla S.D. ), Mike Anderson(Colfax), Pat Hoffman(Rice Lake), Cody Cimfl(Barron), Tim McMann(Duluth MN), Neil Balduc, Jeff Spacek, Buddy Mayala, Wayne Poteet, Dave Baxter, Matt Leer, Jamen Foss.